1. MCQ (Physics, Mathmetics, English and General Knowledge), Total 200 Numbers and Pass Marks 50%. 1. 4 years Bachelor of Meritime Science (Nautical/Engineering) Honors Degree Certificate. 2. CoC Class III Deck Officer/CoC Class III Marine Engineer Certificate. b. Please prepare recent passport size photo within 30KB Bangladesh Marine Academy specific size. d. Personal Information, Present Address, Permanent Address, Parent's Information, Guardian's Particulars, Portfolio (image) all informatin ful up carfuly. e. Finally Submit your Application. f. Print your Admit Card. Bangladesh Marine Academy authority Mobile SMS declaration will be published Admit Card. Every applicant can download login with your information at https://www.sonalibank.com.bd/ma/. Bangladesh Marine Academy authority Mobile SMS declaration will be published Seat Plan and Exam Center at your Admit Card. You can download Admit Card login with your information at https://www.sonalibank.com.bd/ma/. 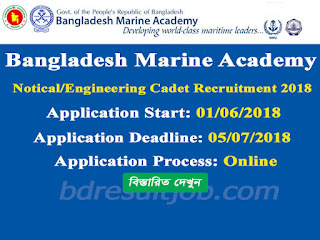 Bangladesh Marine Academy authority will be published at their Official website notice board http://macademy.gov.bd/. 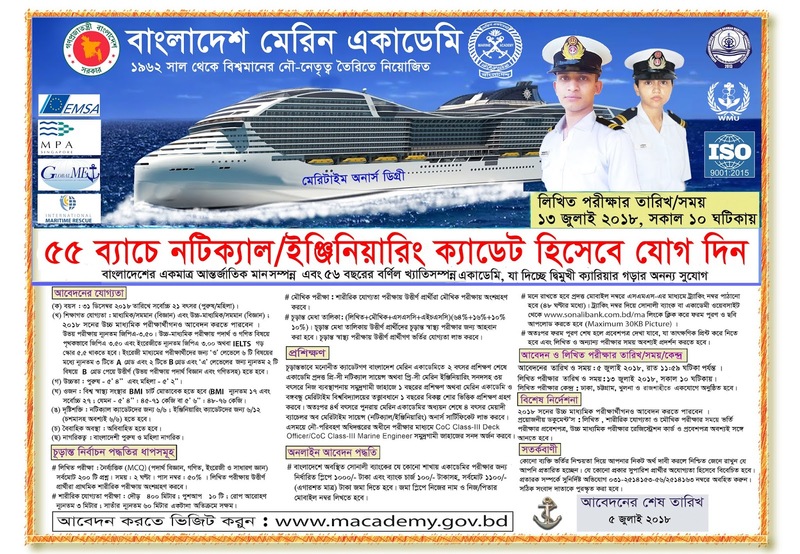 Tags: MA, Bangladesh Marine Academy, www.macademy.gov.bd, www macademy gov bd, marin academy admissions, marine engineering bangladesh, bangladesh marine academy, maritime university, marine academy, marin academy, bangladesh institute of marine technology, marine fisheries academy, national maritime institute, maritime academy, maritime university bangladesh, Bangladesh Marine Academy 55th batch recruitment circular 2018. 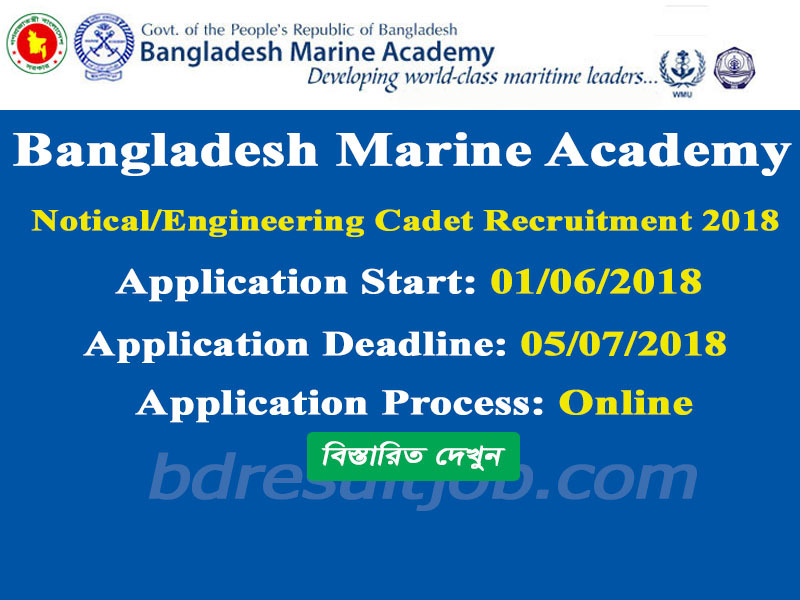 Bangladesh Marine Academy, www.macademy.gov.bd, www macademy gov bd, marin academy admissions, marine engineering bangladesh, bangladesh marine academy, maritime university, marine academy, marin academy, bangladesh institute of marine technology, marine fisheries academy, national maritime institute, maritime academy, maritime university bangladesh, Bangladesh Marine Academy 55th batch recruitment circular 2018.